Video game hair, generally speaking, looks awful. It really does. But computer giant AMD is changing all that with some fancy new hair tech. Oh yes, hair tech. As AMD points out, making realistic hair is really, really hard. You need a bunch of math and calculations to make it happen in a natural and realistic way in real-time. It's way easier to put characters in helmets or make them bald—hence all the bald space marines. 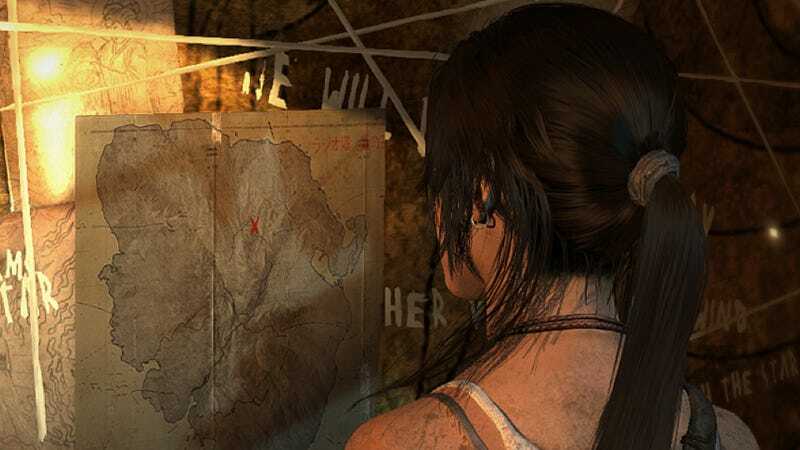 But AMD, working with Tomb Raider developer Crystal Dynamics, are changing that with, and I quote, "the world's first real-time hair rendering technology in a playable game." The name of this tech? TressFX Hair. The tech allow Lara's hair to respond to things like weather (getting wet and matted down in rain) as well as wind and light, causing thousands of hair strains to flutter or reflect light. Be sure to read Kotaku's review of Tomb Raider.